Commemorate a special occasion with the Celebration Suite. 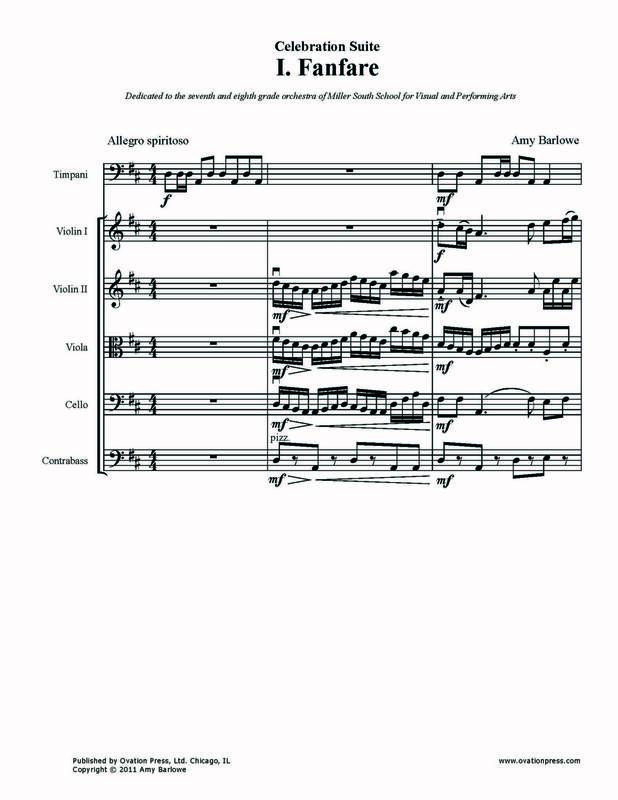 Written for middle school orchestra and sopranos, this suite’s two joyful outer movements surround a tender, songful “Tribute”. Perfect for graduation ceremonies, too, the uplifting text will provide students and audiences with a joyous experience to be remembered by all. The Celebration Suite consists of three movements: Fanfare (for strings and timpani), Tribute (for strings, soprano and harp) and Celebration Waltz (for strings, three sopranos, harp, piano and chimes).